A prong setting is the one used, most often, to hold a diamond. 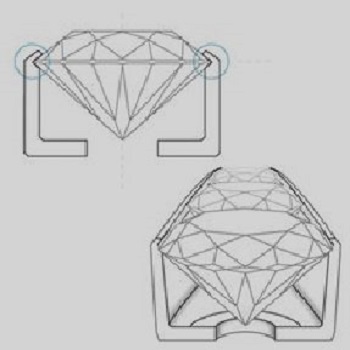 The prong setting puts emphasis on the diamond and not the metal supporting it. 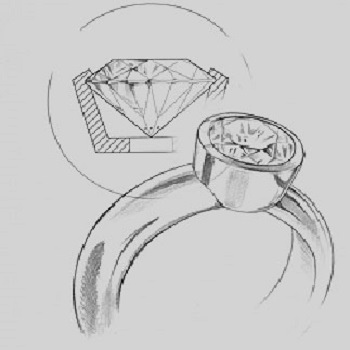 The purpose of any setting is to hold the stone securely in the mounting and at the same time allow light to enter the diamond for maximum brilliance. This is obviously a delicate balancing act. Needless to say, the more metal used to hold the gem, the more secure it is. 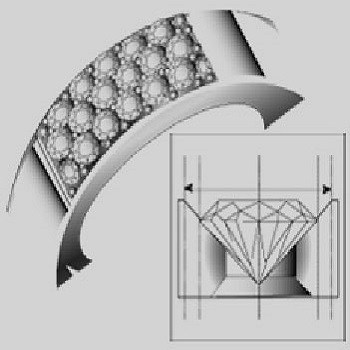 A bezel setting is a collar of precious metal wrapped around the diamond. The bezel is attached to the top of the ring and stands up above it, adding height and dimension to the setting. 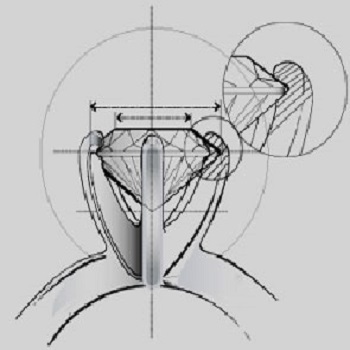 Sometimes the bezel may be 'split' into two sections, arcing around a part of the diamond. This is called a 'half bezel' setting. 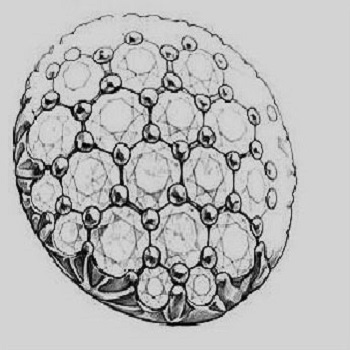 A channel setting is used to set round diamonds. Offering a sleek and elegant appearance, the end result of this kind of setting is a very different look. 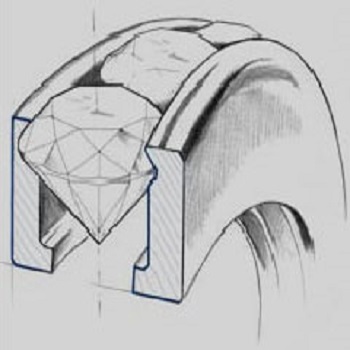 Setting round diamonds into channels leaves small spaces closest to the metal bars of the channel. 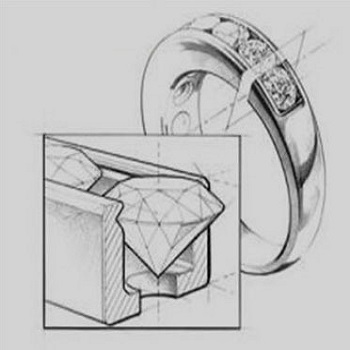 By choosing round diamonds, the designer creates a clean line of stones, one with greater brilliance than is possible with baguettes. This also offers a less restrained look and may be more suitable when a ring has a round center stone. A pave setting is one when the surface of the ring appears to be covered with tiny diamonds. An apt name for this setting, it resembles a street prettily paved with cobblestones. Tiny diamonds are placed in small holes that have been drilled off the ring shank. 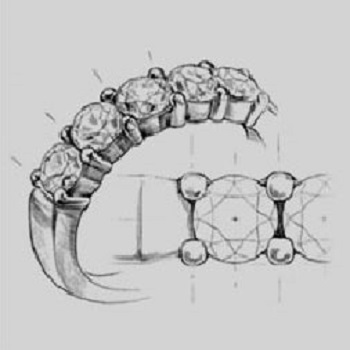 On a band that does not taper across the top, similar shaped diamonds are placed in such a way that they fill as much of the surface space as possible. Precisely cut diamonds are used for such a setting as they adds to the final appearance of the ring.